6/5 @ 11:15pm EST - Sorry for my lack of post today. The team released an update a couple hours ago which fixed a bunch of bugs (water not working, climate, barrel spawns, metal block crashes, etc). 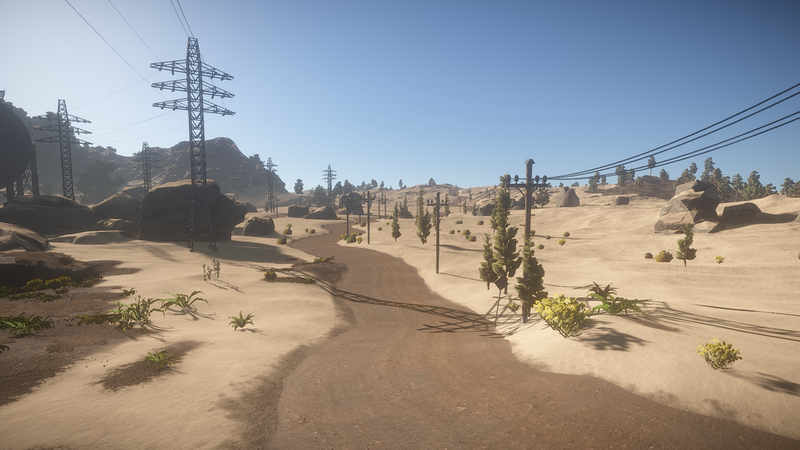 Things in Rust are looking great as we head into the weekend. 9:25am EST - I don’t know about you, but I’m so ready for this update! It’s been two weeks since we’ve experienced the sweet bliss of an update hitting main, and thankfully, the wait was worth it. An improved landscape, throwable spears, raiding changes, 6 new ammo types, HDR effects, UI improvements; stop me now! 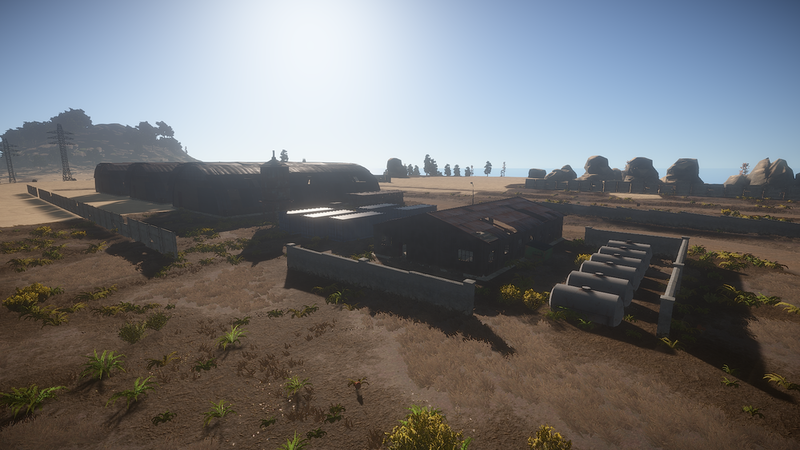 This update does force a map wipe on all servers, and, if you play on Rustafied.com servers, you will experience a blueprint wipe also (this was not forced, we chose to wipe blueprints). The update is still hours away, but stay tuned here and @Rustafied for updates. Also, tune in to Rustafied on twitch for the live update stream starting around 3pm EST. 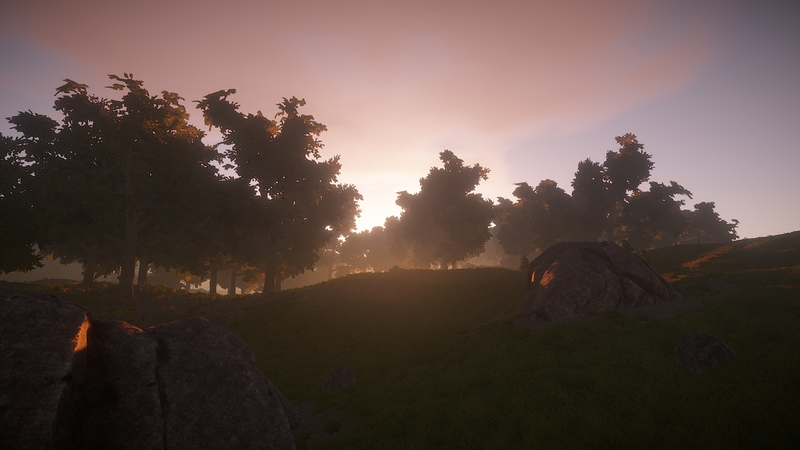 First thing you’ll realize after sunset of procgen8 is it gets damn dark. I’m not talking, “slide your gamma bar up a notch and you’re good” dark, I’m talking pitch black ground for as far as the eye can’t see. Perhaps the candle hat and his younger brother, the miners helmet, will actually have some purpose now. Edit: When the moon comes out and it's full, it does git a bit easier to see. Note: This does appear to be a bit wonky still, we were getting differing results while testing C4. A large, powerful slug which fires from shotguns (or the Eoka). Slower moving ammunition deals fire damage and small chance to start a fire. Explodes on contact, dealing a small amount of fragmentation damage to nearby objects. Creates flames upon impact which burns and spreads. Lighter, faster, deals less damage than normal arrows. Spears can now be thrown by pressing right click. You can’t determine how hard they are thrown by holding longer and they don’t travel very far, however, you can pick spears up that you’ve thrown and they stick out of people with a very satisfying display. I can’t wait to see a bunch of people tossing spears at eachother! Arrows no longer drop in the form of a sack, they now stick out of objects (and people) like arrows should. They can still be picked up, however, they may be a bit harder to find now. With a nice drop shadow applied, you can now actually see chat messages in all contexts. Also, the scroll and avatar click functionality has been restored. The crafting process has been greatly improved with the addition of a resource chart, quantity buttons and crafting queue icons. The pie menu has a new Rusty color and shows the resources required for items. A new way to illuminate yourself in the new-found pitch dark of nights, the Miners Hat is now in. It has a bright white light, lasts a couple minutes, and costs 50 cloth, 50 animal fat, and 100 metal frags. The ground is now rich with things to press E on and pick up. Wood, stone, ore, even mushrooms can now be picked off the ground. Starting around 3pm EST today, I’ll be streaming from our dev branch server, showing off what’s new in this update and answering questions till the update goes live. Then, once we’re updated, the stream team and I will be broadcasting from the freshly wiped and newly improved Hapis Island server. Follow Rustafied on twitch to know exactly when we go live.